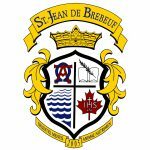 St. Jean de Brebeuf’s Student Ambassadors for Drama, Dance, Music & the Visual Arts! The Art Council is a dedicated group of SJDB students that understand the importance of the arts in society. Our mandate is to highlight the creative talent at our school through annual celebrations and community based projects such as “Arts Fest” and “Nuit Brebeuf”. Over the past 10 Years, we have planned & completed many sculptures, murals, art installations and performances that continue to beautify and enrich the lives of our school and the surrounding community. If you have a passion for Drama dance Music or Visual Art and love to plan exciting events that make our school a great place to be, then Arts council is for you! Inspires Black Bears’ spirit through the organization & leadership of games, tournaments and spirit days. to form lifelong friendships and to engage in fun activities. We hope you will join us. There is a commitment component where you are required to regularly touch base and meet with your buddy. Companions of Brebeuf are a group of grade 11 & 12 students who provide support & leadership to grade 9 students by answering questions, leading workshops and supporting our new students. A student led council that creates environmental awareness through a myriad of initiatives at the school and local community level. We attempt to break down stigmas and bring about awareness and change. ESP is a youth guided initiative in partnership with the York Region Police and the four district school boards to promote safe schools. in Sri Lanka, to helping victims of Hurricane Matthew; students aim to raise awareness and change lives. We are about social justice and service. We recognize, however, that we are all called to go beyond good Samaritan deeds and impact lives forever. “Ontario Students Against Impaired Driving” is a club that is dedicated towards raising awareness of the dangers of drug and alcohol abuse. We work on initiatives that encourage students to make the right choices if they, or their friends, are in a situation when their judgment is impaired. As a “Healthy School”, deemed by York Region Public Health, we work towards improving the overall health of our school by educating the school community on topics including healthy eating, tobacco use prevention, and mental health issues. Peer Ministry members grow in their understanding of their call to be young Christian leaders who seek a closer relationship to Christ through prayer, Scripture, sacrament, and selfless service. Members meet weekly and are mentored by our High School Chaplaincy team. We are a group that strives to increase awareness & acceptance of our diversity through education & inclusivity. Our goal is to build a safe, loving, merciful and welcoming environment while maintaining the dignity of every member of the SJB community as we are called to do in Jesus’ name. In 2013, an inspired group of students saw the need to raise awareness for an organization which touches the lives of many of our students and staff. The SJB in support of SickKids Foundation club was born. Since then, the club has organized numerous events to raise over $12,000 for the SickKids Foundation. Our events include “guess the candies in the jar”, a 3 on 3 soccer tournament, and last year, we held our first “Run for Smiles” community run. The club embodies Catholic values by doing for others and giving to an organization that helps others. that is elected by music students who are a part of music class, band, or choir. Student Council (aka, student government group, student union or student body) is a curricular or extracurricular activity for students within elementary & secondary schools around the world. Present in most public and private K-12 school systems across the United States, Canada, Australia and Asia. At SJB, our student leaders plan Semiformal and the end of year school carnival along with many fundraisers throughout the year in support of local and global causes.